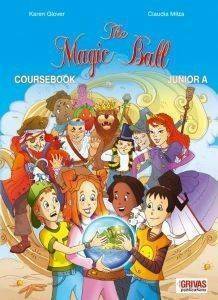 THE MAGIC BALL is an innovative new series for Junior A and Junior B classes which invites young learners to take their first steps in English. The combination of a magical world and realistic situations is ideal for teaching English at this level. The adventure story in THE MAGIC BALL will capture the young learners' imagination giving them access to a world where learning is fun.